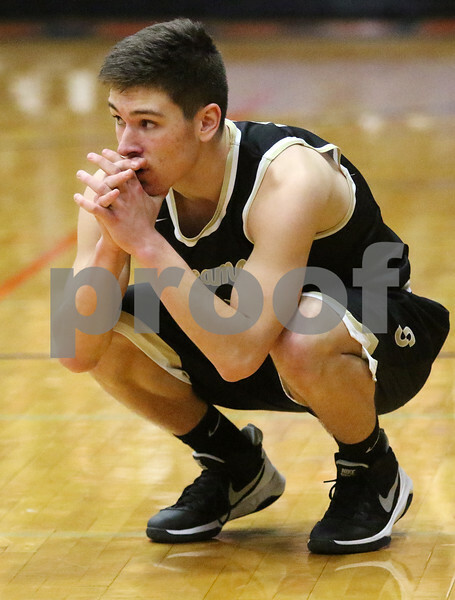 Joran Tolzin of Sycamore watches with anticipation as teammate James Marcinkowski prepares to make his foul shots against Belvidere during their boys basketball sectional semifinal against Belvidere on Tuesday, Mar. 7, 2017 at Genoa-Kingston High School in Genoa. Sycamore won 36-35 on two free throw shots by Marcinkowski with 0.1 seconds left on the clock.